Anyone living in California knows that it faces some serious traffic congestion issues. Plans to ease the problem include a high-speed rail line project, which aims to be completed by 2033. Yet a California State Auditor’s report in 2018 found a number of deficiencies regarding the $77 billion project. Enter California State Senator John Moorlach. He has an alternative solution to the gridlock issue having introduced Bill SB-319 into the state’s legislature that proposes the addition of lanes to Interstate 5 and State Route 99 with no posted speed limits. According to Moorlach the construction of the additional lanes in both north and southbound directions is both easier and quicker to implement than the railway system and will cut idling time in traffic which should lower greenhouse gases. This is why he proposes to draw the funds from the Greenhouse Gas Reduction Fund although cost estimates for this project have yet to be put forward. Moorlach cites the low number of freeway accidents on Germany’s derestricted Autobahns as further motivation for his plan, although we wonder how much the rigorous German driver training procedures and excellent driving discipline influence those low accident numbers. As it stands the highest freeway speed limits in the States are currently 80 mph in States like Idaho, Montana, Nevada, South Dakota, Utah and Wyoming, with Texas offering one stretch of road that allows a heady 85 mph. 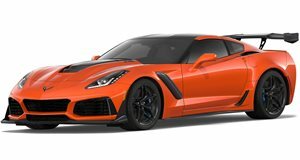 Assuming it all goes to plan these new lanes would not have a maximum speed limit posted at all, but before you grab the keys to your Corvette and start running around whooping with joy, there is a clause in the bill that brings things back down to earth just a little bit. It is California Vehicle Code 22348, which states that any person found to be driving a vehicle over 100 mph will be punishable by a combination of fines and driving privilege suspensions that culminate in a total driving ban after a few infractions. Still, 100 mph is better than 65 mph and it could well help ease traffic on those routes. Then again so would the simple addition of those extra lanes in the first place.